These three smaller lakes are in between a couple of the larger lakes in the area, making them nice spots on windy days. 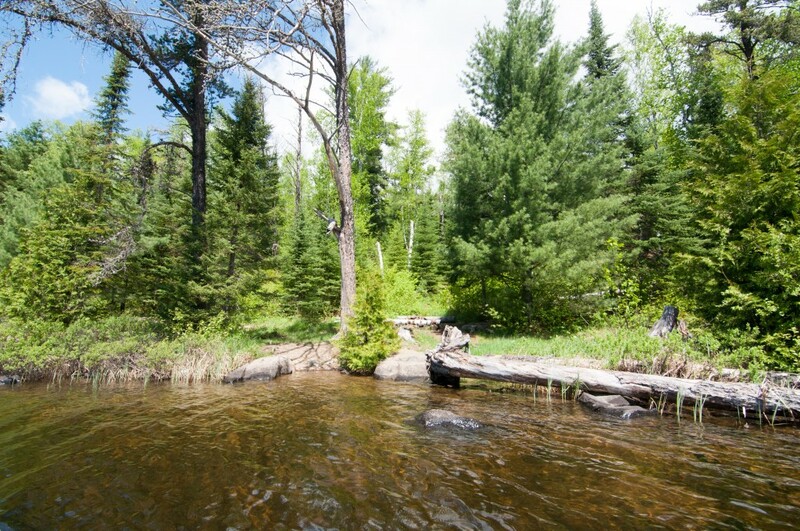 Canoe has some great campsites and is a perfect place to spend a night before taking on the portage into Pine. The fishing in Canoe Lake is pretty weak unfortunately. 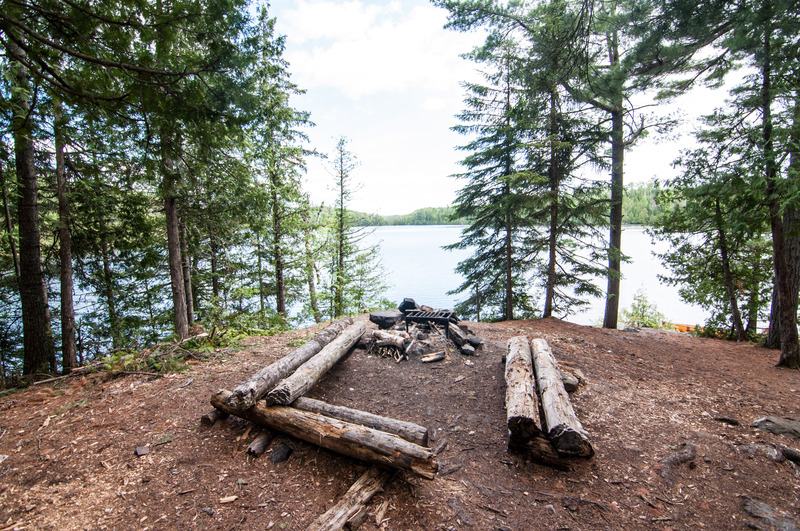 Crystal and Pierz are both dead end lakes, which makes them quieter and their campsites a little more rugged. 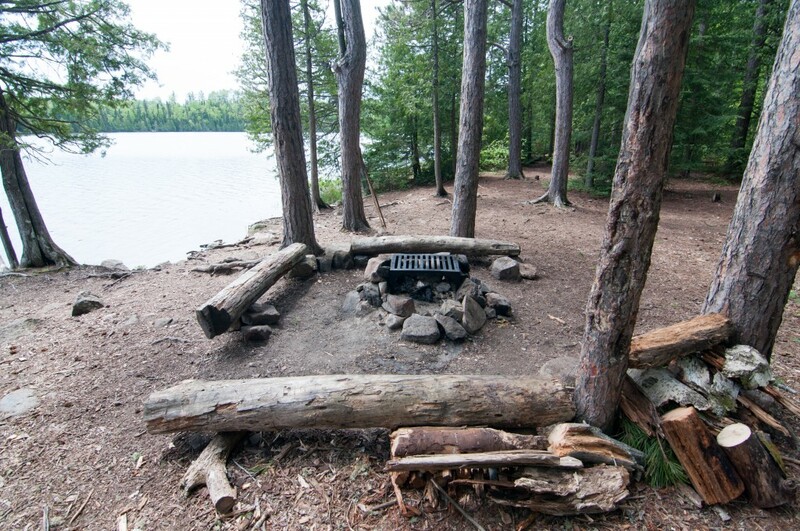 Crystal offers decent lake trout fishing and access to Table Lake, which is a stocked with brook trout. Pierz is stocked with splake but most likely you will run into smallmouth bass. 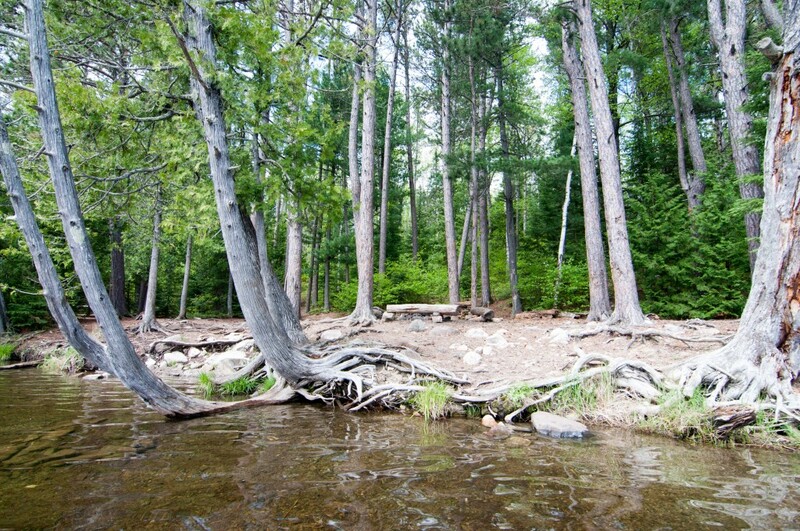 These are the lakes most people end up at when Alder and Pine are full in the summer. 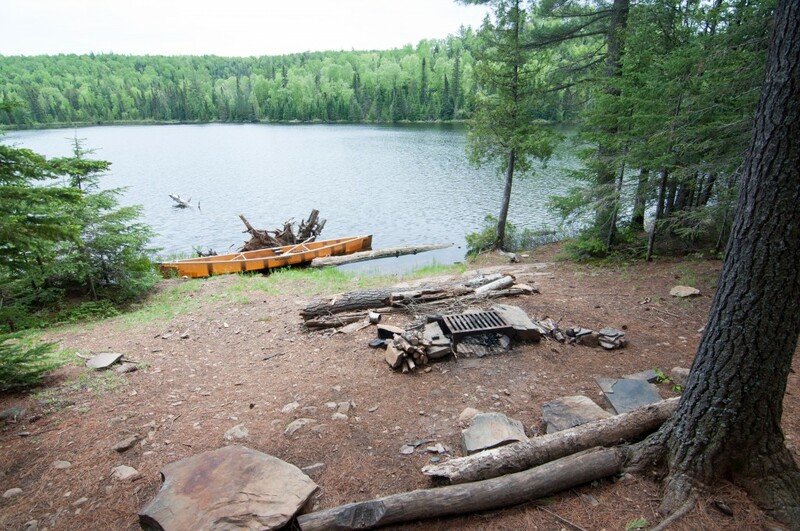 The site on the west end of Canoe Lake is a great spot. 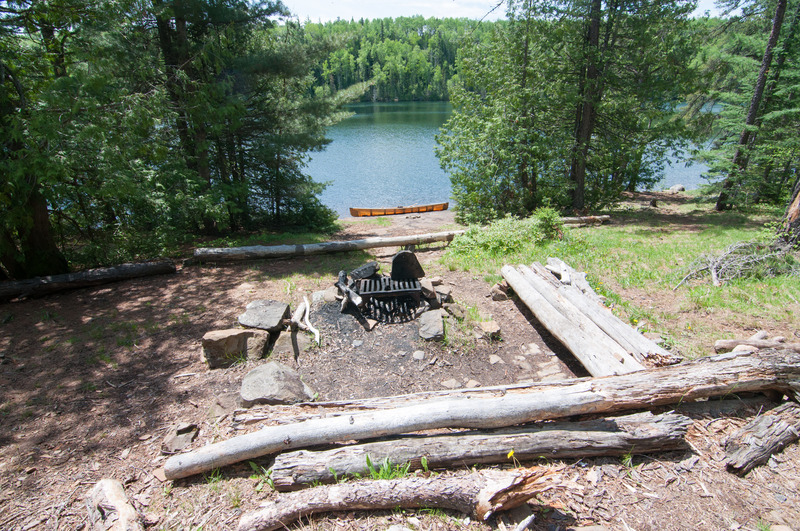 It has a nice gradual climb up to the fire grate area which sits high above the lake with views to the east. There are two nice big tent pads as well. 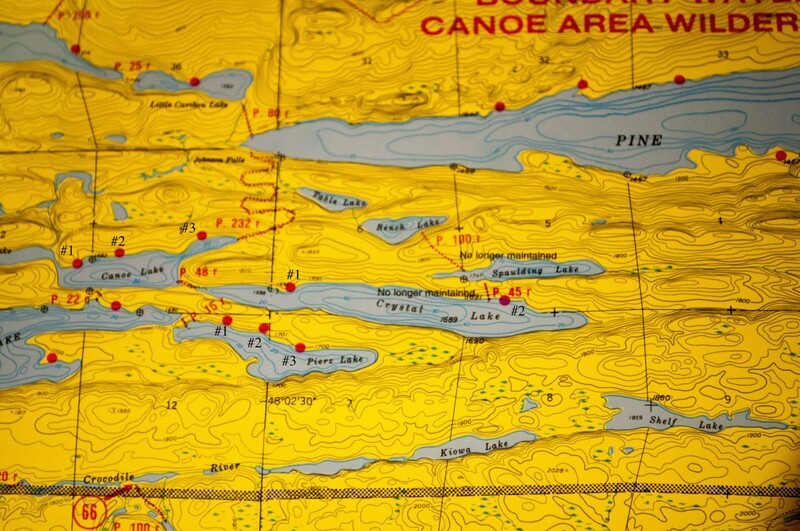 The middle spot on Canoe is the nicest south of Pine Lake. 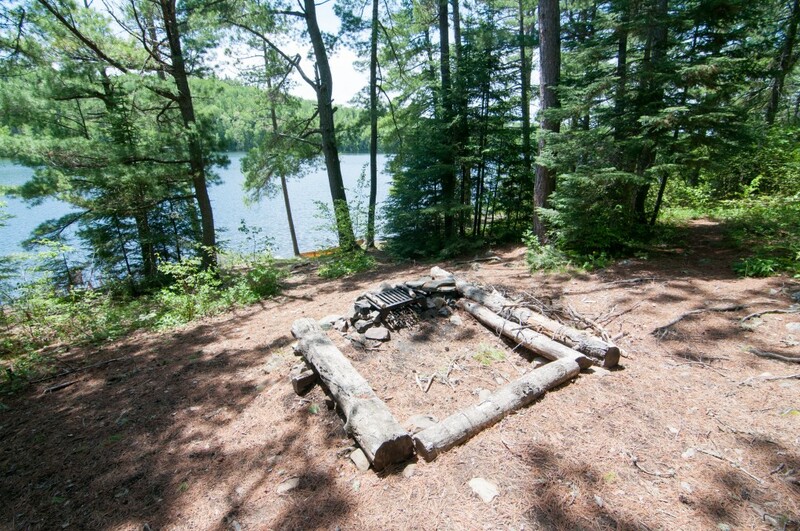 A sandy landing and a wide open fire grate area that sits right on the water is tough to beat. There are tons of tent options and trees for hammocks. 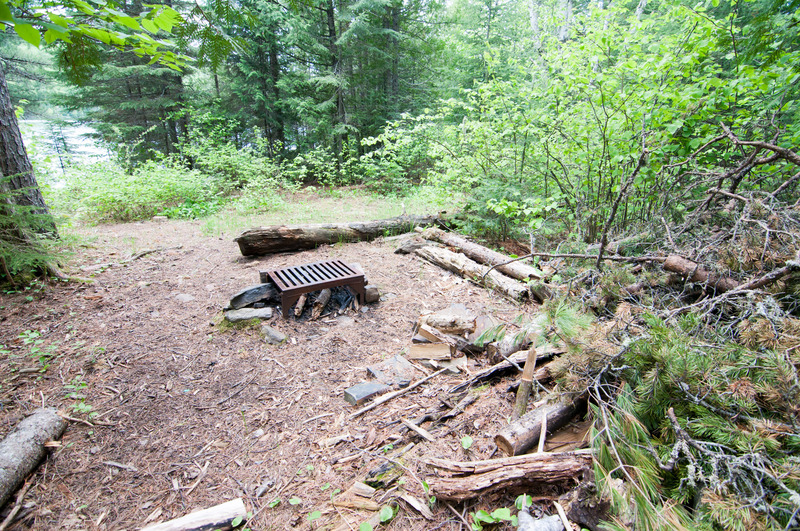 The only possible downsides to this spot is that it is heavily used and is relatively close to the first campsite. 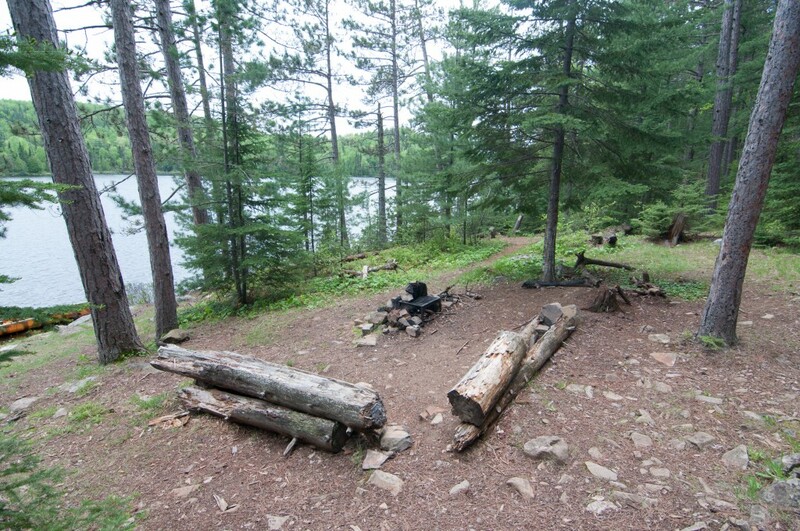 Campsite #3 is just west of the portage into Pine and is a pretty rough spot. A very small landing leads up to an even smaller fire grate area. There are two tent pads that are nice and grassy though. 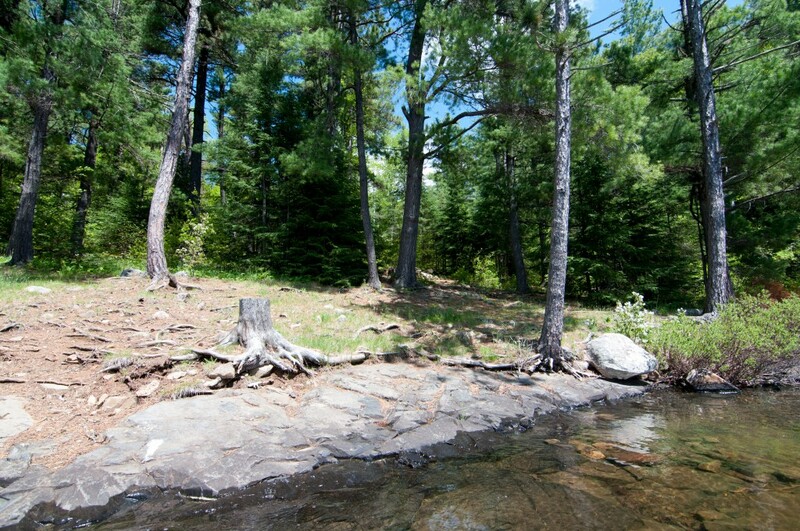 The nice gradual sloping rock landing makes for easy loading and unloading of the canoe. 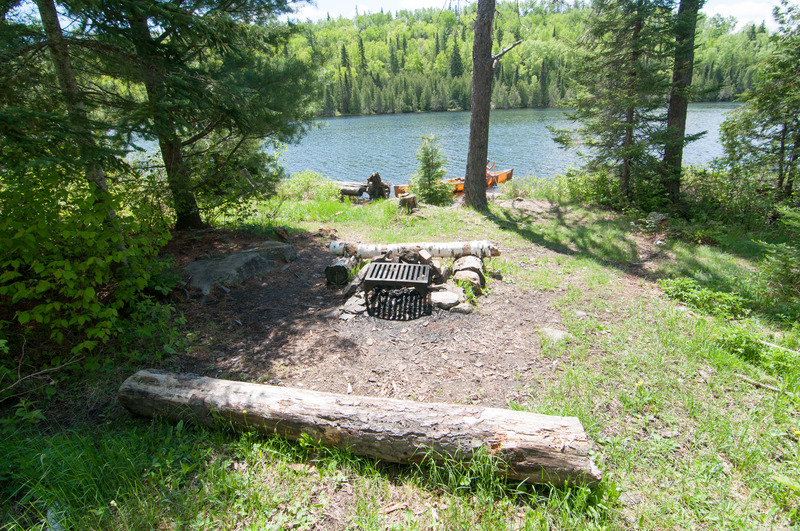 A nice fire grate area overlooking the lake is also a nice feature of this campsite. Unfortunately the entire site has an awkward feeling to it as it is situated on a slope. The two tent pads are a little slanted as well. This site is essentially a smaller version of the first one, it is on slightly more level ground though and has a smaller fire grate area. 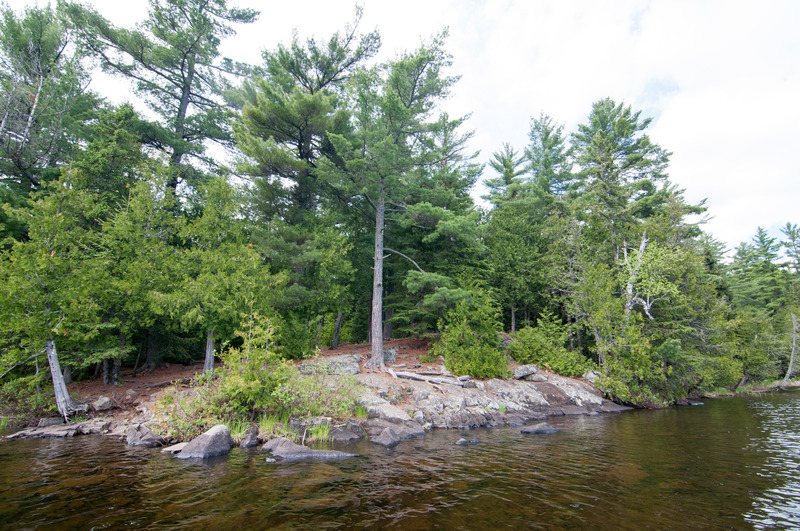 It is almost two miles down the lake and has a very secluded feel. 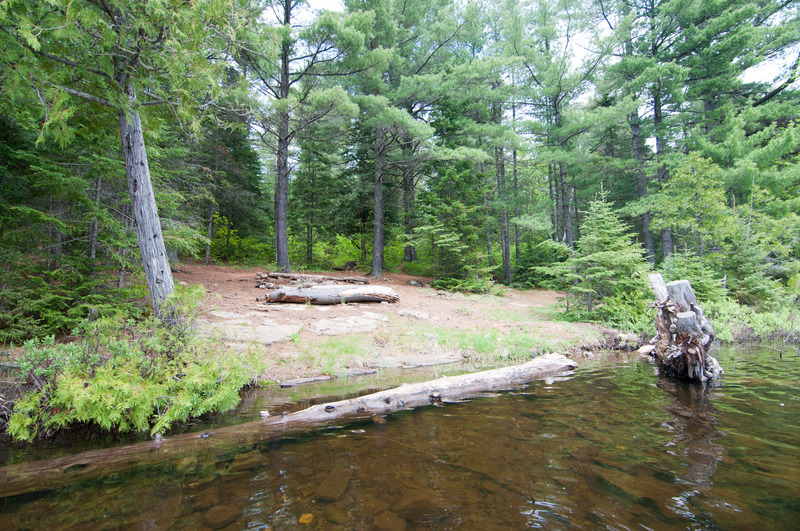 A downed tree makes for a frustrating canoe landing and the fire grate area is smallish and not level. The nice thing about this spot is it has three nice flat tent pads. 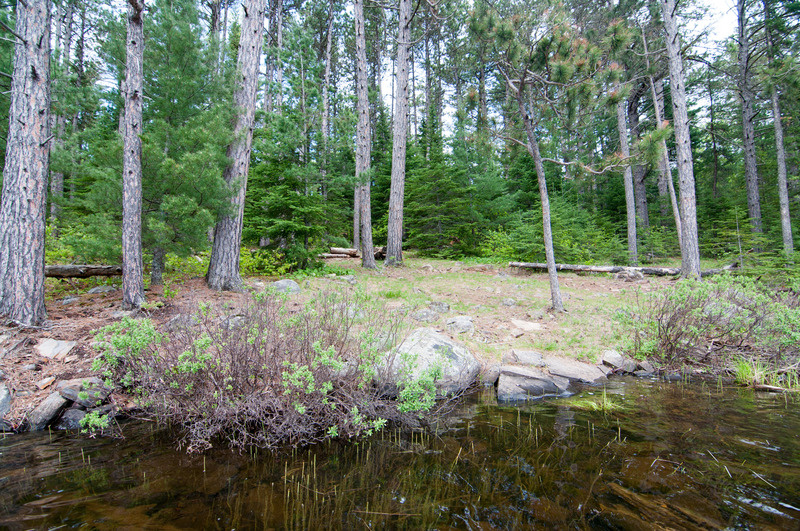 The middle site on Pierz is probably the nicest spot on the lake, which isn’t saying much. It is relatively flat and has a nice fire grate. There are nice tent pads at this spot. The last spot on the lake is a real gem. It clearly does not see very many visitors as the fire grate area was pretty over run with weeds and downed trees. There was one small tent pad down by the waters edge. This campsite makes a fine stop for lunch.